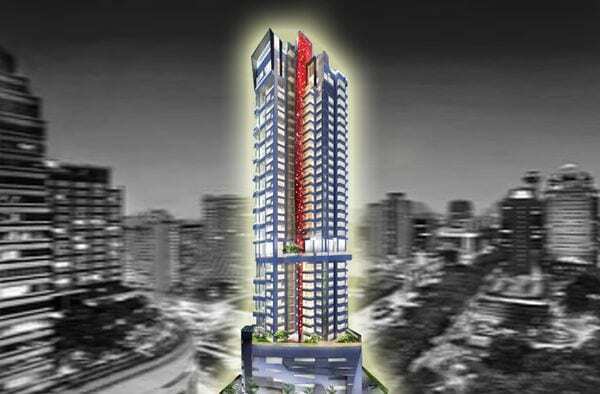 The upcoming, high-rise residential property, Starlight Suites, is synonymous with class, luxury and exclusivity. The developers have attempted to capture the leisure and pleasure of resort living in an urban environment as bustling as Singapore. Its stand-out architecture is a symbol of prestige and elegance for the affluent class which certainly separates it from the rest of the developments in the River Valley precinct. Standing tall and elegant in the city’s prime District 9 at 11 River Valley Close Singapore 238437, Starlight Suites location accords its residents not just a fashionable address but access to all possible modern amenities. The Somerset MRT Station and the upcoming Great World City MRT station (one of the stations marked in the Thomson-East Coast MRT Line) are just minutes’ walk away from the housing complex, thus making residents’ a short walk away from all important locations in the city. Several bus services also ply regularly within the vicinity. Vehicle owners shall have convenient access to major roadways including the Central Expressway and Ayer Rajah Expressway. For those with children, educational avenues abound with reputed institutions such as River Valley Primary School, Anglo- Chinese Junior School, Outram Secondary School, Chatsworth International, Singapore Management School and more, being a short distance away. For shopping, groceries, dining and entertainment, a host of proximal arcades shall serve the residents – Robertson Walk, UE Shopping Mall, Triple One Somerset, Great World City, etc., are all a stone’s throw away. Other popular places suitable for recreational pursuits, including the Kim Seng Community Centre, Fort Canning Park, Victoria Theatre and Concert Hall, are also all no more than a short drive away. Simply put, the residents will have all their needs catered to in no time, without having to venture too far away from their private sanctuary at Starlight Suites. Credits to Starlight Suites developer, TA Corporation, no stones have been left unturned in ensuring that residents’ enjoy the comforts and atmosphere of resort living, with the homes as well as in-house facilities being of suitably opulent nature. The unique, modern façade of the building encapsulates homes that are designed to perfection – natural light, sky views and good ventilation guaranteed. Enjoy the the most breathtaking views at the viewing deck where you will be above the rest of the city skylines of River Valley. Round the clock security, concierge services and parking spaces shall also be provided. The homes have been tastefully furbished with designer fittings and high-end appliances. For leisurely relaxation, a swimming pool, wading pool, pool deck and Jacuzzi shall service the residents. Their health and fitness needs are also catered to with the in-house gymnasium and yoga centre having state-of-the-art equipment. Socially interactive spaces – such as the Entertainment deck on the 6th floor replete with barbeque pits and the sky terrace with a viewing deck and more – have also been instituted so residents may mingle well. With so much comfort and entertainment available right at Starlight Suites Singapore, would anyone ever even want to venture out? Surely not! 1 Bedroom units covering 560 to 1,163 square feet. 2 Bedroom units covering 1,076 to 1,259 square feet. 3 Bedroom units covering approximately 1,615 square feet. Penthouses covering 2,282 to 3,401 square feet. What’s luxury without space? Bedrooms are brilliantly designed with comfort and elegance in mind. Thus living at Starlight Suites is certainly an experience to behold for life. Spacious and beautiful, the various units are designed to meet the requirements of all kinds of households. Starlight Suites TOP was obtained in 2014 and the following table shows all the units transacted in 2015. It will give you a clear indication of the units selling. As of 23 Aug 2015, there are total of 12 transactions done at Starlight Suites, and apparently they are all either 1-bedroom units (560-sqft) or 1-bedroom plus Study (775 or 850-sqft). 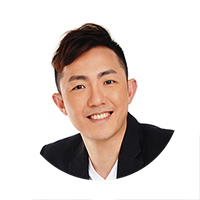 The highest psf price recorded S$2,418 psf for a 1-bedroom unit on the 28th floor (on 6 June 2015). How does Starlight Suites price compared to the other River Valley condos/apartments? The following table shows the comparsion of average PSF among all other Freehold River Valley condos or apartments (having transactions within the last 6 months from 23 August 2015) within 500 metres from Starlight Suites. As you see from the numbers above, the average PSF price of Starlight Suites is S$2,241, which is approximately 11.3% higher than the combined average of the neighbouring River Valley developments (S$2,013). However, if we do a head-on comparison with Espada and Martin No. 38, units at Starlight Suites price is still relatively lower. The above District 9 apartments listed are of similar in terms of age and scale (or smaller) as compared to Starlight Suites. According to the PSF price, it’s still somewhat lower than the rest. Apart from the pricing, here is which we really like about this development. While most such unit types are built around the size range of 500 to 600-sqft (some even lesser), some even deemed sizes like those are “non-livable”, a 1-Bedroom plus study at Starlight Suites is as big as 850-sqft (see Starlight Suites Floor Plan of the unit below). The interesting part about this particular unit is that it offers flexibility in space. As we all know, having more living space is certainly a luxury in Singapore. The study area can be converted in to a bedroom to fit a single-sized bed if required. On top of that, you are given a proper-sized enclosed kitchen and it comes with a small yard for laundry. And one of the most attractive feature of this unit – It has a private lift lobby, which means you will enjoy absolute privacy living. This is certainly rare and only available at most high-end residential properties. But here at Starlight Suites, even smaller unit type deserve the best of private access. However, a unit like that comes at a price tag of approximately S$1.85 million as shown earlier. And if you are looking at this as an investment property, what is the rental return then? The following table shows the Starlight Suites rental transactions for the last 6 months (as of 24 August 2015). Seems like the average rental price is around S$4,570 per month, and if that’s the case, the yield is approximately 2.9%. Despite a volatile and challenging rental market in Singapore, the rental price at Starlight Suites for this unit type is still rather reasonable. Putting price aside. all of the above is reflective of the wonderful living experience that Starlight Suites promises. Here are some more reasons why living here would be ideal. The unique concept of urban resort living ensures that your home is a tranquil escape from the demands of modern life. With the locality being safe, green and beautiful, Starlight Suites would be a great place for raising children. Given its location and facilities, this housing complex will be a sought-after living destination; a great real estate investment too. With so many lovely advantages of living here, Starlight Suites shall keep its residents happy and healthy; its projected completion in 2015 is likely to create much excited furore! There are limitless luxurious enjoyment at Starlight Suites. Spend your gatherings in the most stylish and best possible way by leaving a lasting impression of your alluring home. It’s definitely a property which is worth to have as part of your “collection”, but if you are looking for something which can offer you better returns, there are always better options which I can recommend. For Starlight Suites e-Brochure, you can drop us a message and we will send it to you. Are you look for Starlight Suites for rent as well? For sales/rental inquiries, please call (+65) 6631 8384 or fill up the contact form below. Hi, I would like to enquire about the availability for Starlight Suites and receive property updates. Thanks.